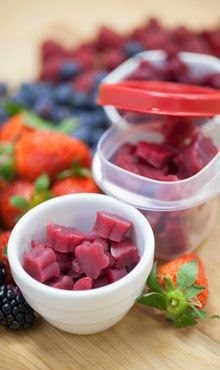 I found this awesome recipe for homemade fruit snacks I wanted to share with you! Enjoy! 6. Pour into a 8 x 8 or 9 x 9 glass dish. 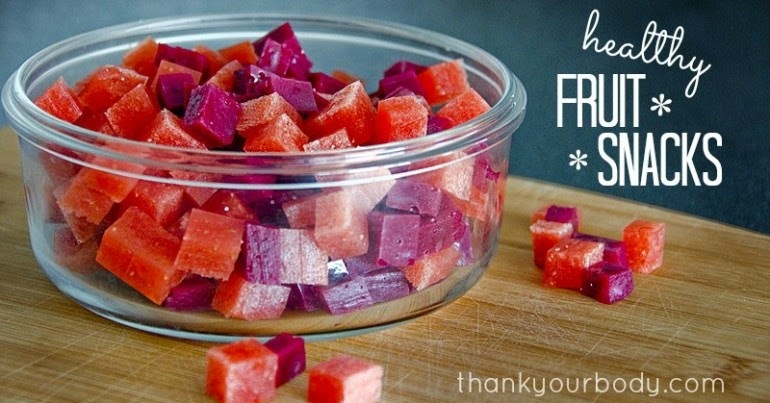 Refrigerate until set (30 minutes to an hour). Cut in small squares or use cute little silicone shape molds.